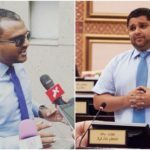 The EC informed parliament Tuesday that MPs Mohamed Musthafa, Saudhulla Hilmy and Ali Shah have lost their seats following their expulsion from the Progressive Party of Maldives. “We remind the commissioners that the country is 11 months away from a milestone presidential election, and they must remain within their legal boundaries or face prosecution for their unlawful activities,” the opposition coalition warned in a statement Tuesday night. Contacted for a response, EC member Ahmed Akram directed the Maldives Independent to his colleague Amjad Musthafa, the designated spokesman for the five-member commission, who was not responding to calls. The EC has now decided that 10 ex-PPM MPs have been stripped of their seats because of a Supreme Court anti-defection ruling, which held that MPs who were elected on political party tickets will be disqualified once the electoral body notifies parliament that they have either left their party, been expelled, or switched parties. The unseated three lawmakers were among several MPs who left the PPM in early July after backing the impeachment of the speaker, a key ally of Yameen. 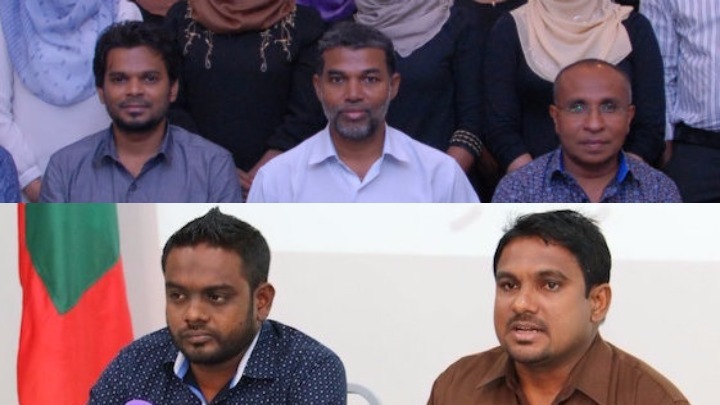 “The PPM, therefore, has no role in ‘expelling’ the MPs from the party, nearly four months after they had quit the party of their own volition,” the opposition said. 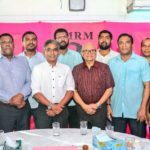 Days before the July 13 anti-defection ruling – which the apex court clarified would not apply retroactively – Musthafa, Saudhulla and Shah informed the PPM in writing of their decision to leave the party and sent copies to the EC. The MPs also asked the EC separately to remove them from the PPM membership roll, which the commission’s regulations state must be done within 15 days of a written request. But the EC kept them on the PPM registry after the party claimed disciplinary proceedings were underway against the renegade MPs. The en masse defections in July handed the opposition a clear majority for the first time but the contentious disqualification of four MPs was used to quash the no-confidence motion against the speaker. 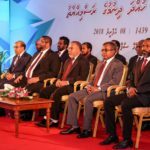 The opposition accused the EC of “working on the instruction of President Yameen” to maintain his “autocratic grip” on the 85-member legislature. The latest move to vacate seats was prompted by the refusal to vote for a supplementary budget last week, it added. “There is no law that mandates the Elections Commission to decide or announce whether MPs have been stripped of their seats,” the opposition said. In late July, four ex-PPM MPs who were disqualified challenged the EC’s decision at the Supreme Court on the grounds that they were expelled in March and April. But the state attorney maintained that they remained on the PPM’s registry until the party formally requested their removal on July 18. The opposition insisted the ruling meant there was no dispute to resolve. The court was clear that MPs who left or were expelled from their parties before July 13 were safe, lawyers said. The EC said it has resumed preparations for by-elections because the Supreme Court did not overturn its July 19 decision to consider the seats vacant. But the EC has yet to announce dates for by-elections or invite candidacy papers. The constitution, however, requires by-elections to be held within 60 days of the vacancy, a period that ended in late September. Two months have also passed since the Supreme Court decision on the disputed disqualifications. Some MVR26 million (US$1.7 million) was allocated for holding the by-elections in the supplementary budget passed last week. The EC has been at loggerheads with opposition parties since new members were approved by the ruling party-dominated parliament in 2014. 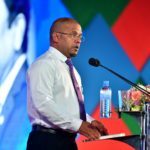 The opposition contends that the EC is stacked with Yameen’s loyalists, including its president, Ahmed Sulaiman, who was formerly a senior member of the People’s Alliance, a party led by Yameen until 2011. 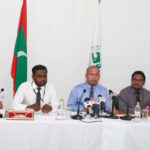 “The EC has acted as a de-facto rubber stamp for President Yameen in a number of politically motivated, illegal and unconstitutional actions in recent years,” the opposition said.